Built for Dr. Frank G. Gunn in 1925, this groundbreaking, concrete, all-electric home was ahead of its time. Experience it as it was with working 1925 Monarch Electric Stove & 1927 refrigerator; while not being without modern conveniences such as tempurpedic mattresses, central air, & internet. Comfortably accommodates up to six adult guests, with 2 bedrooms, queen size sofa-bed by the wood burning fireplace, & twin size sofa-bed in the television room. 1 ½ baths. The alarm clocks in the bedrooms each feature an iPod dock & no-sound vibrating alarm option. Newly remodeled kitchen is fully equipped; just bring the food & your appetite. Other amenities include: sound system throughout, laundry room, a pass thru bar to breezeway, bar-b-que, secure parking, & complimentary local wine! Stage your special event in the charming gardens. 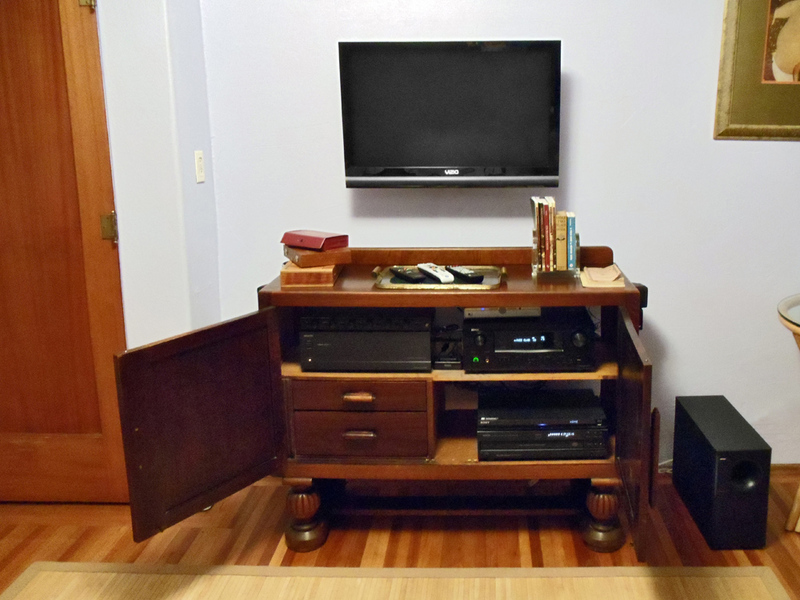 The Gunn House now features a media room & whole-house sound system. 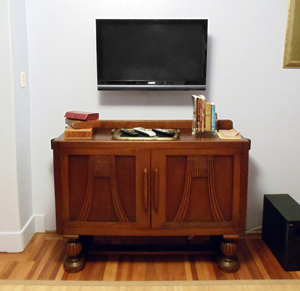 In the room you will find a flat-screen TV mounted to the wall, & an antique cabinet filled with high-tech devices. 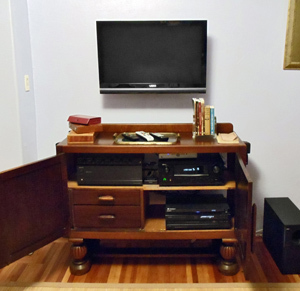 Including, Multi-zone receiver, Blu-Ray/DVD player, 5-disk CD changer, iPod Dock, & individual volume controls for each room/zone. There are Bose surround-sound speakers, & satellite TV including music channels. 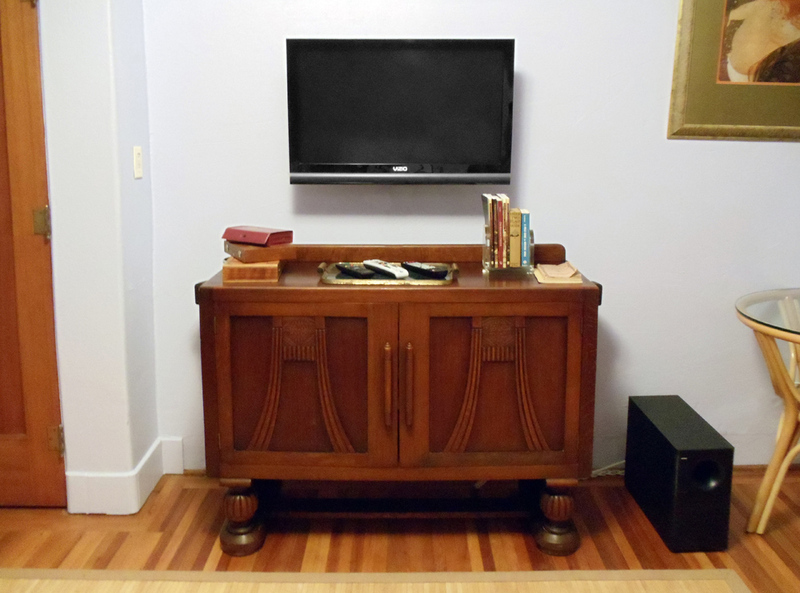 Someone can be watching a movie or TV in the media room, while the rest of the house & yard are filled with music.